There are many creatures out there that look like a German Shepherd dog, have a certificate and pedigree that says it’s a German Shepherd Dog, but are disgusting excuses for the real thing. The most important aspect of a German Shepherd is his/her temperament. Color and pedigree are secondary! (Never pick a GSD because “he’s the cutest one in the litter” – always pick temperament first). His temperament will make or break him. Temperament will either be his highest attraction or your biggest frustration. GSDs should always be confident! Always! They may flinch at a sudden noise, but recuperate quickly and even seek to find out where the sound came from and what made the sound in the first place. A fearful, shy dog is NOT a German Shepherd, no matter what the certificate or pedigree say. GSDs are not afraid of thunder, do not cower in new situations, and are not afraid of other dogs, or men, or vets, or a leaf blowing across the yard, and are NEVER easily stressed. Yes, poor training can be a cause of these behaviors but these behaviors are almost always a genetic issue. GSDs are drivey; that is, they are not couch potatoes. They want to pursue and catch something: a tennis ball, a cat, a bad guy. Training can teach him what is proper to chase and what is not. They want a job to do and therefore need a job to do. German Shepherds are working dogs. They were not bred to trot around a show ring and look fancy. If you take the working dog aspect away from the shepherd, you have only a brainless, nervous shell of the real thing. GSDs are family-friendly. They are not fear-biters. They are not looking for a fight or looking for a child to eat up. Yes, they are natural nippers/mouthers when puppies (they were bred to nip; it’s their original job), but they are not aggressive. Training can teach them what is fine to nip and what is not. 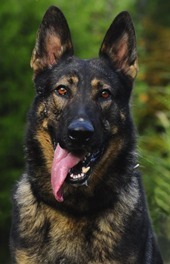 A true GSD has a balanced temperament – not shy yet not aggressive. A true GSD has a solid appetite. He’s not a picky eater. Other words used to describe these eaters are finicky, “just not interested,” or “he’ll eat when he wants to.” A GSD always wants to. A finicky eater betrays either an illness or an underlying nervousness. A true GSD has a good pigment in his coloring, no matter the color of his coat. Poor pigmentation is sign of bad breeding – that is, breeding that shouldn’t be done because it’s too many generations removed from solid breeding stock. American-line shepherds are the worst. There are a few good ones but pathetically few. 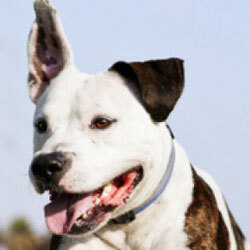 Typically the best bloodlines – and the truest representatives of the breed – are not show lines but working lines. Even better are the puppies very closely connected to European breeding stock from working lines. If you get more than one or two generations from solid stock, poor genetics infect the dog – typically with poor pigmentation, lack of confidence, and outright shyness. Good GSDs will cost more. The dog whose price is less than $800 should certainly be left behind (we really suggest far more than this). Go elsewhere to purchase. Breeders who invest in solid breeding stock simply cannot let their puppies be sold any cheaper – and expect to come out even. [By the way, if bad breeders are no longer purchased from, they will soon go out of the breeding business]. Give your business to breeders who only breed quality stock. Americans have gotten far too familiar with inferior dogs and many think these poor representations are the norm. We assure you, they are not. Get a true shepherd: a confident, balanced, family dog. Yes, there will be many who disagree with this article – particularly puppy mills and others who are mindless of the good of the breed and focusing primarily on money. And, there are many people who have had German Shepherds for years and simply do not know that there are better dogs out there. They’ve succumbed to the thinking that shy, brainless dogs are the norm. Real German Shepherds are harder to find, more expensive, and are a true joy to live with and work with. 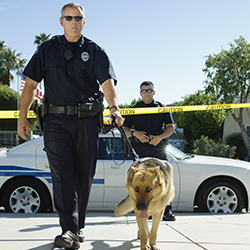 ← Should Police K9s still be trained on Marijuana?